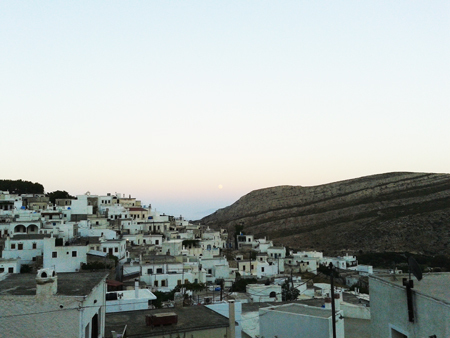 The oldest village on the island, it is 26 kilometers (16 miles) to the east of Naxos town. Built at the foot of mount Fanari (883 meters/2897 feet), it is in a beautiful spot. 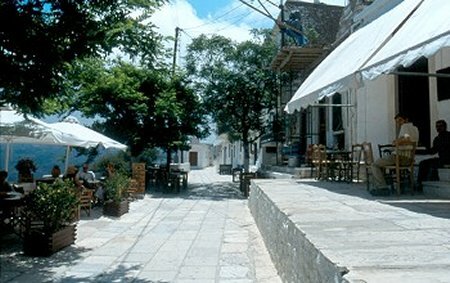 The village has retained its traditional appearance, and has very narrow streets that are paved with marble, beautiful two-storey houses built from local stone, sloping alleys, Venetian towers, diagonally ribbed vaulting, beautiful churches and small, charming squares offering picturesque kafenions and pleasant little tavernas. The inhabitants are still very attached to their traditions (among others, weaving) and have their own dialect. In Apiranthos you will also find archeological, geological and forclore museums.